Here’s to You, Ms. Sallie Ann Robinson (a post by Josh): Pecan Crunch Cookies – Eat Me. Drink Me. By no means am I trying to beat a dead horse, but Savannah is a beautiful city that needs just a little more attention. So don’t stop if you’ve heard this before, its worth a second telling. I know I’ve spoken about how Savannah is my second home before, but this time around, I was able to appreciate Savannah in a whole new light. I think it was the fact that by the end of my week there, I could get around town without directions, go to a coffee shop that I grew attached to, or just mellow out in a square downtown. But I was also doing research; let’s not forget that part of the summer deal. Lyz described some of the meals, talking about the flakey biscuits and the crunchy fried chicken, Sallie Ann Robinson’s food and life advice, and homemade breakfasts at a slower pace. I also took off some days, separate from the group, to check out some amazing places around Savannah. First, we have Sallie Ann Robinson. Lyz talked about her briefly in her last post, but let me try to parse out a few more details. 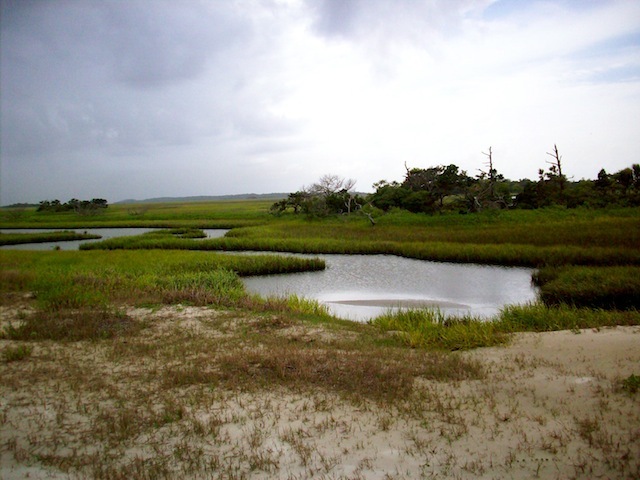 Sallie Ann was born and raised on Daufuskie Island – a barrier island just north of Savannah. She left Daufuskie back in 1988, just “to get off the island.” It wasn’t the right place for her. What she brought with her, though, were some warm memories of her childhood, some excellent life advice and a whole lot of passion for food. Lyz and I met with Sallie on a Friday morning, just two hours after her twelve hour shift let out. Sallie greeted us at the door and welcomed us into her home saying “Now, I was told not to feed y’all, because if I did – y’all would never leave!” And I use the exclamation point judiciously. Sallie Ann had life in her in ever word she spoke and every move she made. We spent half of the time there laughing. We spoke about her life growing up, the fish tanks, her Chinaware, the foods in her freezer and her story to be where she is today. Sallie never wanted to sit down to talk, so we kept moving through to her kitchen (“where the magic happens”), where she promptly handed us a few cookies, “Now I can’t feed ya, but I can let you taste some of my pecan cookies.” And oh, how thankful I was for those cookies. They were crisp on the outside, dusted with cinnamon sugar, but moist right under the crust with a pecan in the center to diffuse a nutty flavor throughout. Oh, what a sweet confection. I explained my summer plans, and she made no hesitations to delve into her past. Firstly, she wanted to describe what exactly Gullah was. “Lots of people get mixed up about Gullah. Gullah is a way of life, it is a culture, not just a dialect.” Gullah is to “make due,” “keep it simple,” “and use what is around you.” That’s why the main spices Sallie used were salt, pepper, paprika and garlic. “When you eat a steak, you want the meat flavor the most. Who wants to eat a piece of meat and only taste the spice?” Keep it simple. And she did keep it simple. She cooked a lot of meats and seafoods (she had a whole freezer in her back room full of venison, chicken, pork, and a separate one just for seafoods). Back on Daufuskie, Sallie told us stories of how she learned how to cook, mainly by following her mother’s directions to a “T.” Sallie never had any say in what she was going to learn, cooking wise, just that which her mother said was necessary. Sallie’s conversation dove in and out of life advice, “Daddy always said life is like the letter “Y”. Why “Y”?! We would always ask…”, and cooking advice, “Now oh lord, have y’all ever had fried ribs?” But what she ended with was hospitality through food. She snuck off to her pantry and handed us a jar of pear preserves, “Here, try this. I want y’all to have this.” Pause, we tasted this pear-preserve-that-tasted-like-butter. “Have it; its yours. But you got to tease all your friends about it. Show it to them, then hide it away.” Sallie had a thing for making light out of every situation. But needless to say, I hid that jar of Pear Preserves. Even from Lyz. Now that is just a snippet of what Lyz and I got out of the talk with Sallie Ann. But if I had to boil it down to its bare bones, I would have to say that Sallie showed me that she found a lot of comfort and life in her food and her heritage. She may have had bad days, but let those days be brushed aside. And it their place, have a pecan cookie. Recipe adapted from Cooking the Gullah Way: Morning, Noon & Night. Makes about 2½ dozen. Heat oven to 350 degrees. Lightly grease 2 cookie sheets. In a bowl, cream the softened butter and confectioners’ sugar until light and fluffy, about 3 minutes with an electric mixer. Add the egg and beat well. Add the mixture of baking soda and hot water. Add the flour a little at a time. Stir in the pecan pieces. Roll out the dough on a lightly floured surface until it’s ¼-inch thick. Use a lightly floured cookie cutter, jelly jar or water glass to cut rounds of dough. Re-form the scraps, roll out and cut more rounds to use up the rest of the dough. Place the rounds ¼-inch apart on the greased cookie sheets. Bake 8 to 10 minutes, just until cookies are beginning to brown around the edges. Remove and let cool on a wire rack.